Hi everyone, I'm creating a new topic to introduce you to my new game. 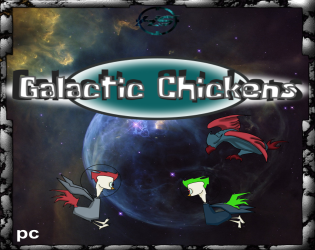 Galactic Chickens !!! I developed it during the Jam #HighSight (Atari Remakes). Is this game cool? At least a little? Should I continue it and improve it? I'm Foxy WhiteTrack and I started the development last September so please be lenient but I'm ready to read your comments on it and use it to improve it.